This past semester I studied abroad in London which turned into the best experience of my life. I still have many posts that I would like to share with all of you about things that I did while I was abroad. I flew back to Michigan on May 30th and have just been putting my life back together ever since. It was hard coming home because I feel like I am a much different person now then I was in January when I left for London. I don’t fit the same way in my old life anymore so there are many things that I need to adjust. Now is my chance to change whatever I would like about my life. 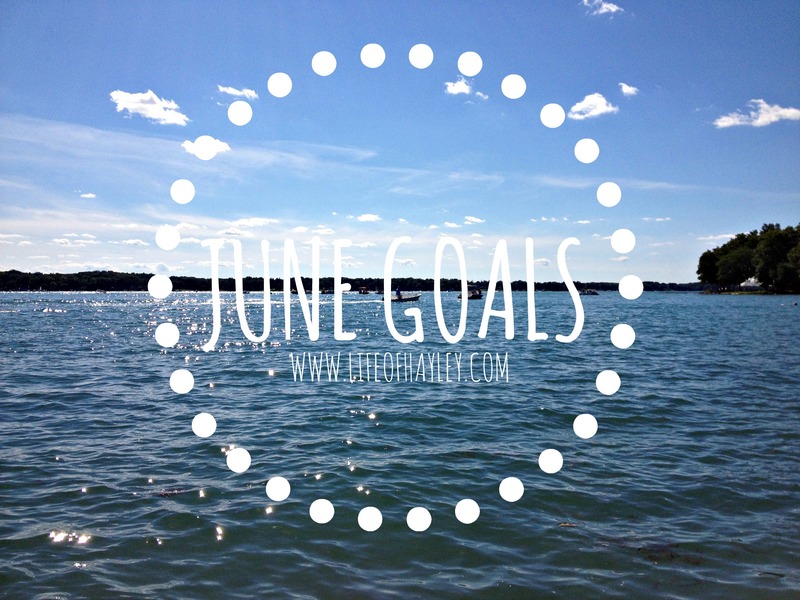 I have decided to set myself a few goals for June in order to stay on track and get some things done. This is a new kind of post for me so let me know what you think! Spend more time with my family and friends: After being away for four months I have a lot of catching up to do. I also realized while I was gone that in the past I haven’t had much time off to spend with my family and I really regret that. I need to start putting my family first. Take Megan on at least five walks a week: Megan is our family’s three and a half year old puggle. We got her in October and she is a little bundle of energy! I’ve been taking her on a walk every day since I have come back and she really loves it. Focus on eating healthy: While I was abroad I ate whatever I wanted to and never thought about the consequences. Now that I am back I need to focus on eating healthy and getting back to a heathy pre-study abroad weight. Organize my bedroom and donate/sell clothing: I have already started doing this and it’s exhausting. While I was gone I lived with just a few clothing options and I liked it much better than having an exploding closet. Now that I am getting older I need to start investing in quality pieces instead of focusing on quantity. Start working again: I’ve been home for almost a week and haven’t started at work yet. I am going back to my old job which I am excited about but I needed some time off before going back to figure things out. Finish study abroad blogs: I got really behind on blogging while I was in London because I spent the majority of my time doing things with my friends or exploring London. I have so many adventures that I would still like to share with you! Hopefully I will have time to finish everything this month! I’m thinking that setting goals each month will be a great addition to my life and this blog. I would love to read about all of your goals so please let me know if you are also doing these posts! I’m always so inspired by other bloggers! Also, at the end of the month I may or may not to a recap where I review the goals that I had set for myself. Thanks for reading! It’s so nice to back to blogging! Thank you! Miss you too ❤ I hope you and Shere are having an amazing trip!! !